Jonny Gomes was acquired by the Kansas City Royals on Monday. 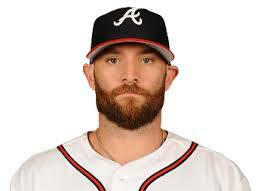 The Kansas City Royals acquired Jonny Gomes from the Atlanta Braves on Monday. As part of the deal the Braves will receive the 21 year old minor league shortstop Luis Valenzuela. The 34 year old veteran is no stranger to being the new member of a team as Kansas City will be the sixth MLB team Gomes has played with. The Royals will look to Gomes to add to their bench and they make their second consecutive post-season run. After being acquired by the Atlanta Braves as a free agent this offseason, Gomes has played in just 83 games hitting .221 along with seven homeruns and twenty-two RBIs. Most recently, Gomes made his first career relief appearance on the mound in Friday night’s matchup between the Braves and the New York Yankees which quickly became a blowout and the Braves looked to alternative pitching options. Gomes had never had any experience pitching before his appearance on Friday night.